Our ability to perceive the world around us in all its variety of shape and color depends on the function of the two types of specialized photoreceptor cells found in the retina. The highly sensitive rod cells are activated by dim light and permit us to see things during twilight and at night. The cones, on the other hand, enable us to observe our day-time environment, sharply defined and in color. 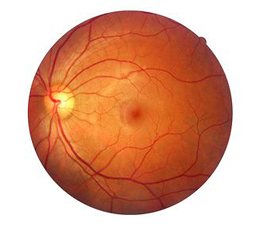 Mutations in the gene peripherin-2 (PRPH2), whose protein product is found exclusively in the photoreceptors, are among the major causes of congenital retinal diseases. “We have now shown that these mutations affect the amounts of PRPH2 protein made in these photoreceptors – but act in quite different ways in the two cell types,” says LMU pharmacologist Professor Martin Biel, whose group has been studying the impact of different PRPH2 mutations at the cellular level. Their latest findings appear in the journal “PLoS Genetics”. The protein encoded by the PRPH2 gene is essential for formation of the specialized subcellular compartments that contain the light-sensitive pigment found in both photoreceptor types. It is estimated that, worldwide, 100.000 people suffer from a progressive degeneration of these cells – which can ultimately lead to total blindness – that is attributable to mutations in this gene. “For decades, biologists have been puzzled by the observation that some mutations in the PRPH2 gene lead to degeneration of the rod cells, while others primarily affect the cone cells,” says Elvir Becirovic, first author on the new report. In order to investigate this question further, the Munich researchers made use of genetically modified viruses – so-called recombinant adenovirus-associated viruses (rAAV) – to introduce single known mutations into the PRPH2 gene exclusively in the photoreceptor type known to be damaged by each. Many of the mutations were found to have an impact on the spectrum of RNA molecules transcribed from the gene. Transcription is the first step in gene expression, and leads to the synthesis of single-stranded RNA copies of a specific segment of DNA. The “messenger” RNAs that direct the production of specific proteins are then assembled by cutting out different sections of this “primary transcript” and splicing them together in the correct sequence. The use of alternative combinations of splicing sites generates different mRNAs encoding distinct “isoforms” of the gene product. Alternative splicing thus allows different cell types to regulate the precise structure of the various protein forms. In addition, variations in the frequency of usage of different splicing sites can also alter the relative amounts of different isoforms in different cell types. “We first showed that the splicing process operates with significantly higher efficiency in the rods, which therefore synthesize more of the peripherin-2 proteins than the cones. Strikingly, we then found that most of the mutations associated with preferential degeneration of the rod cells result in a reduction in the abundance of peripherin-2 in that photoreceptor type, which is partially attributable to a decrease in splicing efficiency,” Becirovic explains. Conversely, the majority of mutations that produce defects in the cone cells increase the peripherin-2 protein levels in these cells, and this effect is fully accounted for by enhanced splicing efficiency. This is actually the first case in which disease-causing mutations have been demonstrated to lead to an increase, rather than a decrease, in splicing efficiency. “Our results reveal that even cell types that are evolutionarily, structurally, and functionally as closely related to each other as the photoreceptors in the retina can display drastic differences in splicing behavior, and that such differences can explain the differential effects of mutations on different cell types,” says Becirovic. The researchers therefore believe that mutations in genes other than PRPH2 may well have similar effects on the splicing process, and thus on the relative amount of protein isoforms derived from alternative splicing products.